Nottingham’s festival of music and the moving image returns in March 2019 with a thrilling line-up of events across the city. This March, Nottingham will come alive with the sounds of flaming dragons, Bollywood fairy tales, fearsome creatures and femme fatales on the run, as Sound Stage – Nottingham’s Festival of Music and the Moving Image – returns to venues across the city. 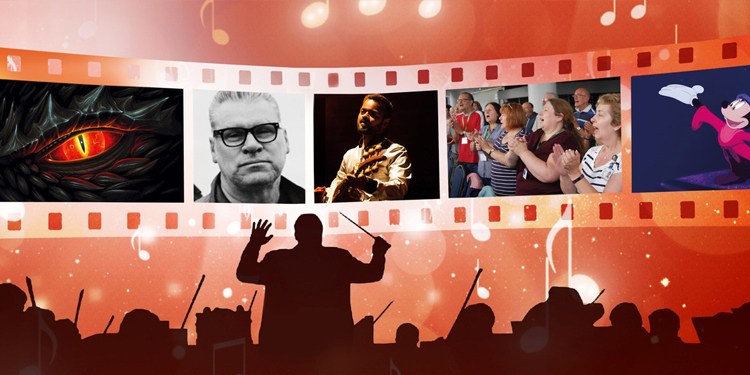 Supported by Arts Council England, Nottingham’s 2019 Sound Stage Festival runs from Monday 11 to Sunday 17 March, giving audiences across the city a chance to immerse themselves in the soundtracks that bring the fantastic worlds of film, TV and videogames to life. Highlights will include a blockbuster evening of fantasy film, TV and gaming scores from the world renowned Hallé Orchestra, BBC film critic Mark Kermode performing with rockabilly band The Dodge Brothers, film screenings with live accompaniment, free fringe events, and participatory activities, including the opportunity for families to create a new film score for a classic silent film with musicians from the BBC Philharmonic.